Update: Sadly HRH The Duke of Kent was taken ill shortly before his planned visit to the Museum to meet volunteers in March, but we hope that he may be able to visit us in the future. We are very exited to announce that HRH The Duke of Kent will visit the Museum on Monday 25 March to meet as many of our volunteers as possible, to look around our displays, and to “take tea”. Preparations are already underway for what will be a very busy month, with our Members’ Preview, our Spring Coffee Morning, and our 2013 opening on Good Friday 29 March, as well as our Royal Visit. We have been given the generous gift of a teapot made by John Vasey of the St Agnes Pottery, found in Truro’s Oxfam shop. 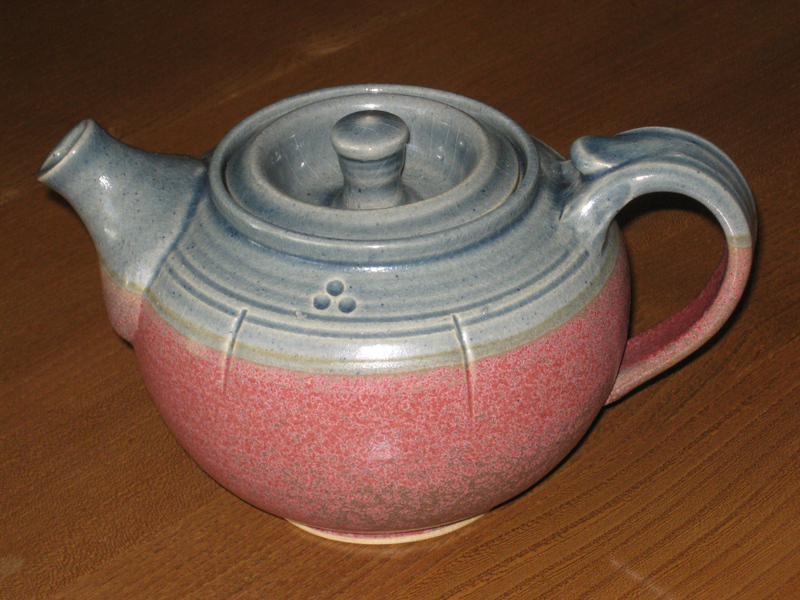 While we have several items of John’s work, we didn’t until now have a teapot. 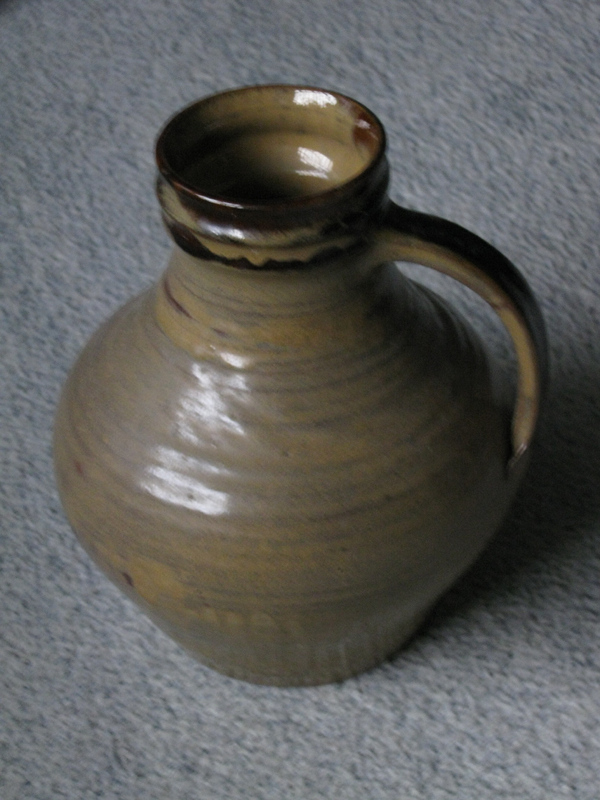 We have also been given this beautiful elegant pot, with “Wayside Pottery, St Agnes, Cornwall” imprinted on its base. Both will be on view upstairs when we open, together with further works of art.